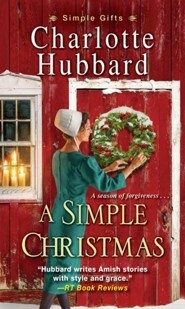 Nora Hooley's shop is abuzz with preparations for the holiday open house, and Rosalyn Riehl is handcrafting wreaths from evergreen boughs, pinecones, and other natural materials. The work is a welcome diversion for the only unmarried daughter of Cornelius Riehl: her gruff dat has been receiving envelopes marked Past Due, leaving dutiful Rosalyn to manage the household's inexplicably shrinking budget. Then another distraction swaggers into Simple Gifts - blue-jeaned and leather-jacketed, with a reputation that precedes him. Marcus Hooley hightailed it to Willow Ridge on a wing and a prayer - not that he's the praying type. He rejected his Amish roots long ago. But behind the bad-boy attitude is a gifted horse trainer who's counting on some bent-but-not-broken family ties to throw him a lifeline. 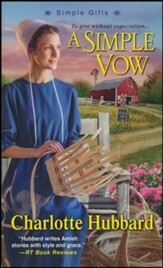 He can't erase his past, but a sparking attraction with strong, spirited Rosalyn holds the promise of a second chance...and of shedding light on shadowy secrets to build a bright tomorrow. 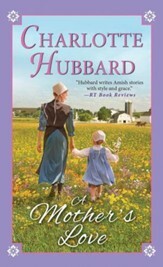 "Hubbard writes Amish stories with style and grace." The rustic beauty of a country Christmas fills the Simple Gifts crafts shop, while the Amish residents of Willow Ridge pull together in uncertain timesand in the face of an unexpected homecoming. Nora Hooleys shop is abuzz with preparations for the holiday open house, and Rosalyn Riehl is handcrafting wreaths from evergreen boughs, pinecones, and other natural materials. The work is a welcome diversion for the only unmarried daughter of Cornelius Riehl: her gruff dat has been receiving envelopes marked Past Due, leaving dutiful Rosalyn to manage the households inexplicably shrinking budget. Then another distraction swaggers into Simple Giftsblue-jeaned and leather-jacketed, with a reputation that precedes him. bent-but-not-broken family ties to throw him a lifeline. 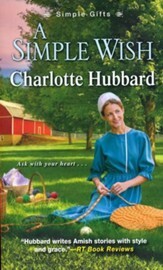 He cant erase his past, but a sparking attraction with strong, spirited Rosalyn holds the promise of a second chance . . . and of shedding light on shadowy secrets to build a bright tomorrow. 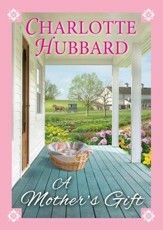 "Charlotte Hubbard has a way of writing that draws you into the story from beginning to end." 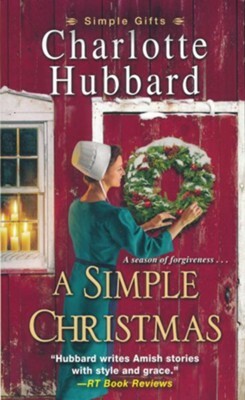 I'm the author/artist and I want to review A Simple Christmas.